Description Eddie Bauer trim. Heated Leather Seats, iPod/MP3 Input, Bluetooth, CD Player, Satellite Radio, Alloy Wheels, 17" PAINTED ALUMINUM WHEELS, Running Boards, 4x4. 5 Star Driver Front Crash Rating. AND MORE! 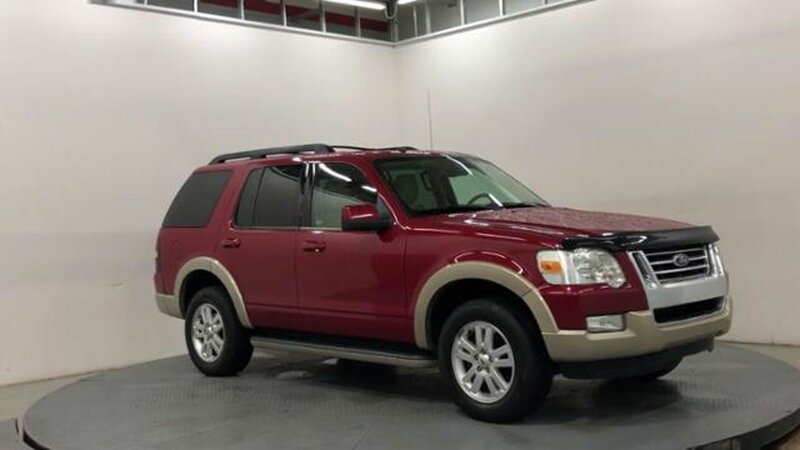 Leather Seats, Heated Driver Seat, Running Boards, Satellite Radio, iPod/MP3 Input, Bluetooth, CD Player, Heated Seats, Heated Leather Seats MP3 Player, 4x4, Keyless Entry, Privacy Glass, Child Safety Locks. With over 45 cubic feet of Cargo Volume (behind 2nd row), the Explorer will hold 9 carry-on suitcases.